In early 2010, there was a chain of events that started in front of a bank in Nevada, MO. Mike was visiting with a couple who support CEMI. During the visit they said they had another couple that was doing ministry in the Carribean. Mike offered to donate a few soccer balls to the missionaries. Just a few minutes later in the bank Mike was visiting with another friend, and he said that he would donate the funds for the soccer balls for the missionary going to the Carribean. The soccer balls were shipped to the missionaries in West Central, Missouri. 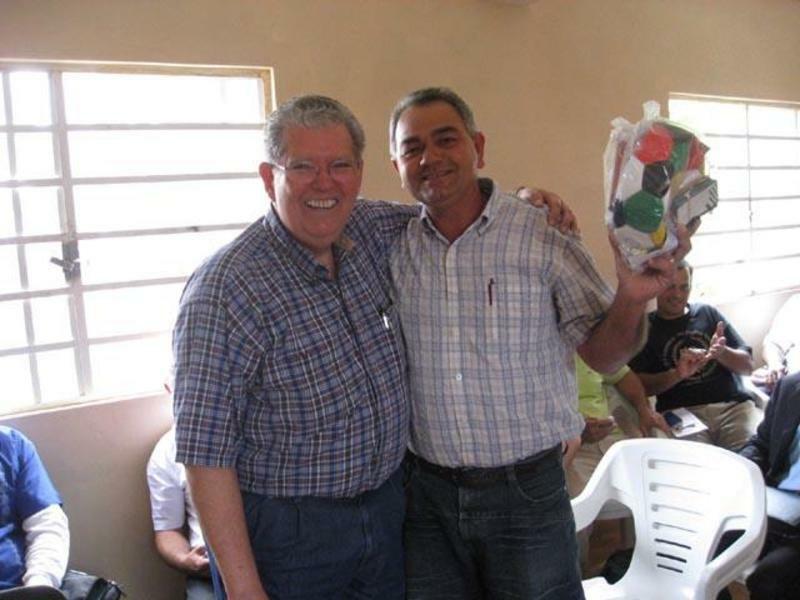 One of the soccer balls was given away in the Carribean at a pastors' conference where many were attending. Out of all those names, this pastor's name was drawn. The winner of the soccer ball and tracts stated, "Days earlier I gave away my soccer ball to some children." He prayed that "God would replace the soccer ball". Sure enough, He did! Praise the Lord for each person that had a small part in this chain of events so that the Gospel can go out to the children in the Carribean!